It's been seven months since we launched this blog, and thought it was time to countdown our top five most popular posts. . .
5. National Science Digital Library The site has a complete array of easy to find resources and online math tools that are directly linked to Common Core standatds. 4. Back to School Ed Tech Checklist This post identifies those tech to-dos that you, your administration, and your IT team should address at the start of the school year. 3. A Summer List of Creative Tools Our first attempt at an infographic offers up six fun, web-based ed tech resources for students and teachers to use. 2. National Library of Virtual Manipulatives Another phenomenal collection of math resources and math practice exercises. Arranged by grade level and practice area. 1. Keyboarding Tools on the Web to Support CC Standards That's right, keyboarding, is the top post. Surprised us, but when you think about it, keyboarding is a skill necessary to be successful in the digital world. This post lists some keyboarding tools to check out. As always, we enjoy hearing from you! Let us know if there is any ed tech tools or areas of interest you'd like us to look into. Thanks for all your support! How about a list of websites with tools and resources to help high school counselors. Scholar Boxremoves the loose papers and data entry associated with maintaining scholarship lists. What other helpful tools are out there for our counselors? Keyboarding is a skill that is demanded in the Common Core Standards. How would you like to ask 5th grade students w/o keyboarding skills to type a 2 page paper in one sitting? 4th graders only need to type one page at a sitting, but that's still a lot when I don't think we ask them to write that much at one time. The students in my elementary school only get 15-20 minutes of recess each day because we need to spend more time on math and reading. Yet now we must spend time on teaching them to type. But that's another discussion. 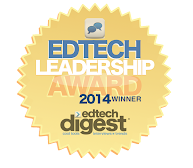 This month's top Ed Tech and Tools posts! Tomorrow is Friday the 13th!